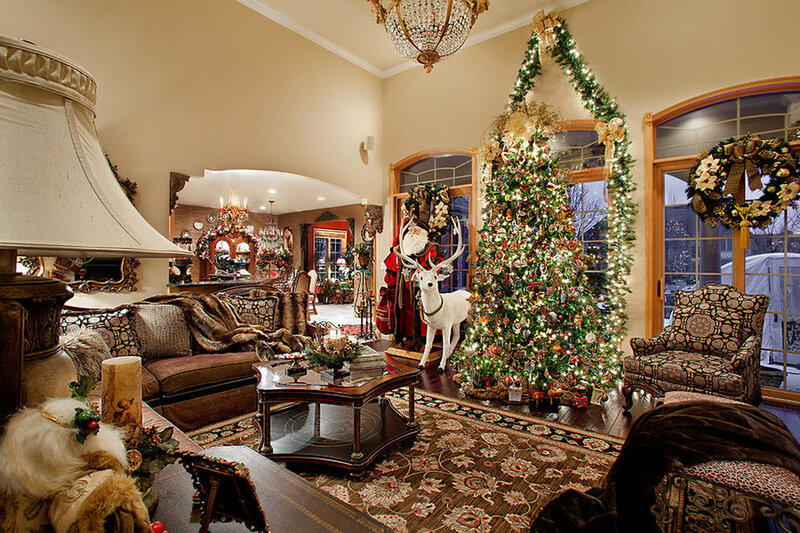 Great room, dining room, kitchen and master bedroom decorated for Christmas. 11 foot Christmas tree with vintage handmade ornaments, custom garland and wreaths. Life size Santa and life size faux fur reindeer. 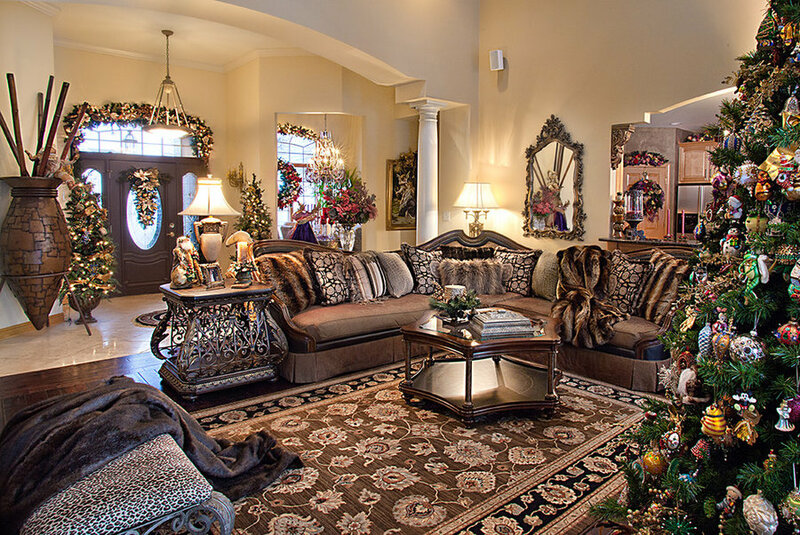 European living room decorated for Christmas. 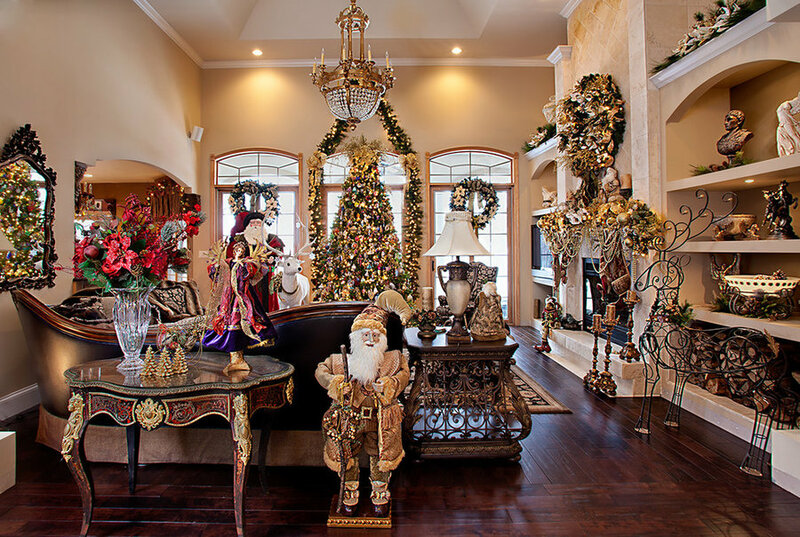 Life size Santa and white reindeer, custom garland and wreaths. 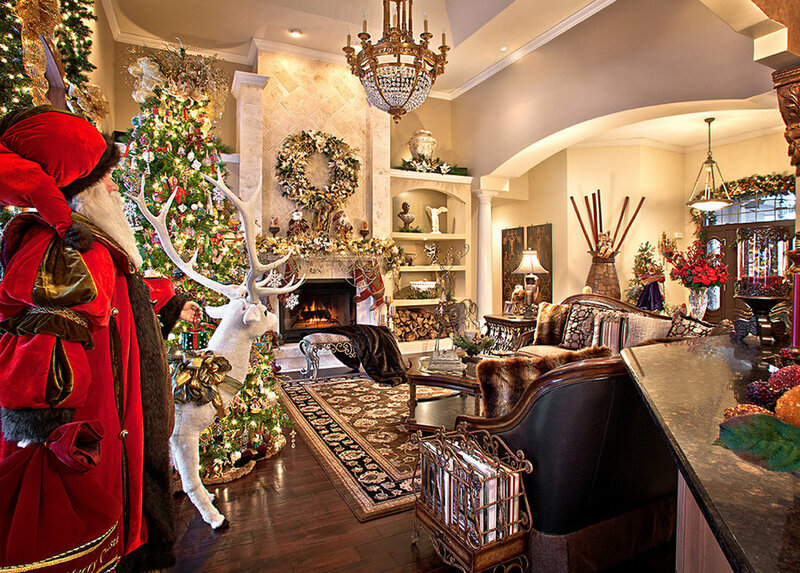 European living room decorated for Christmas. 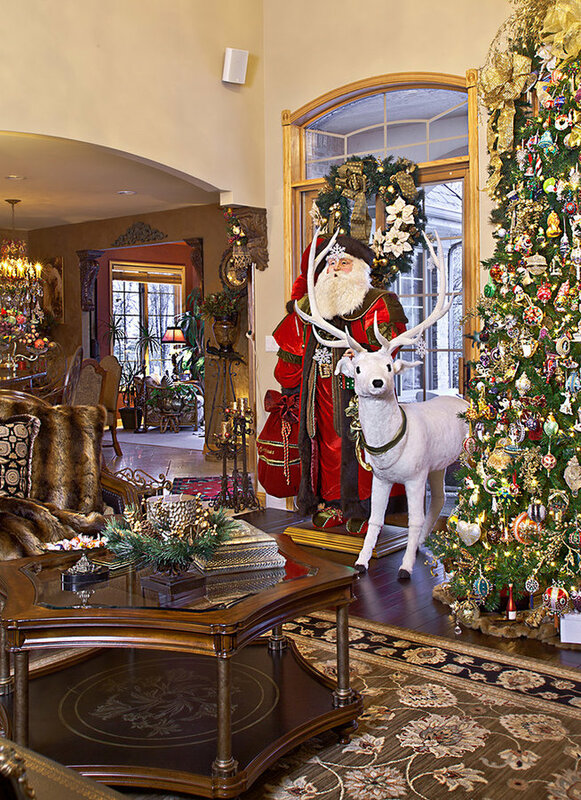 Life size Santa and white reindeer, custom garland and wreaths. Large sectional, iron and leather end table, wood and glass coffee table, faux fur pillows and throws. 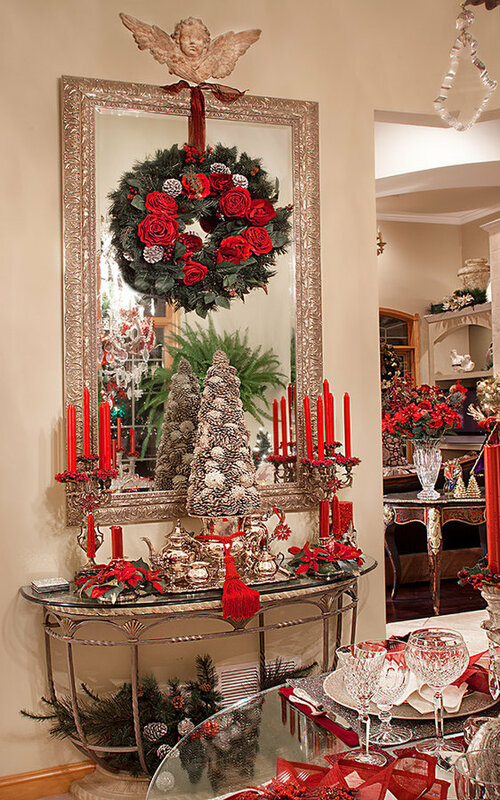 Fun Formal Dining Room decorated for Christmas in red and silver. 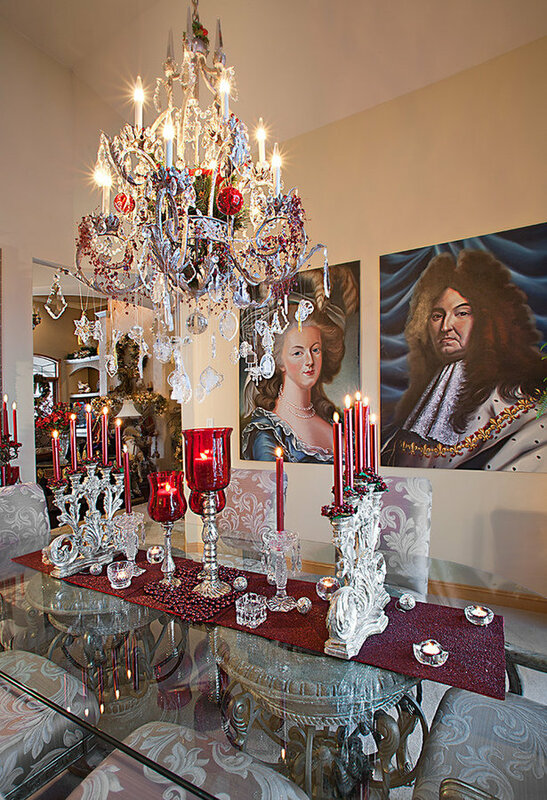 Large iron and crystal chandelier decorated with vintage crystal ornaments. Large floor mirror hung on the wall. Custom wreaths and garland. 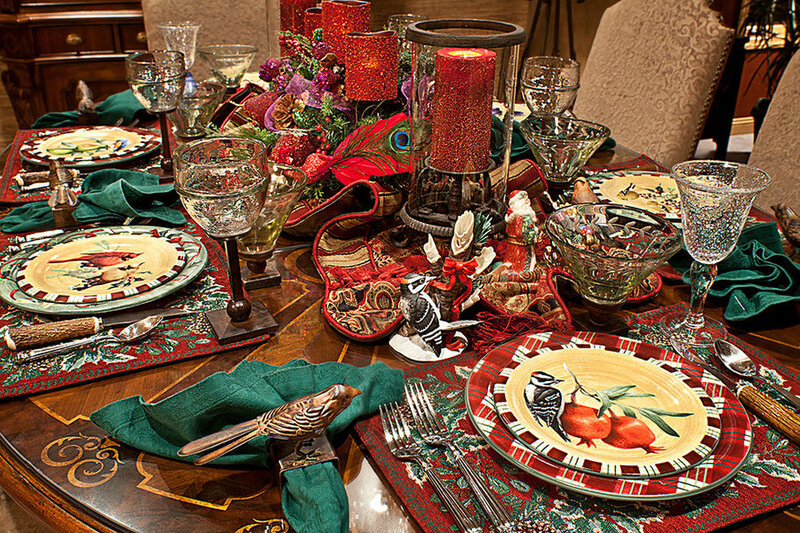 Sterling silver flatware, Waterford crystal glasses, Mikasa Christmas china. 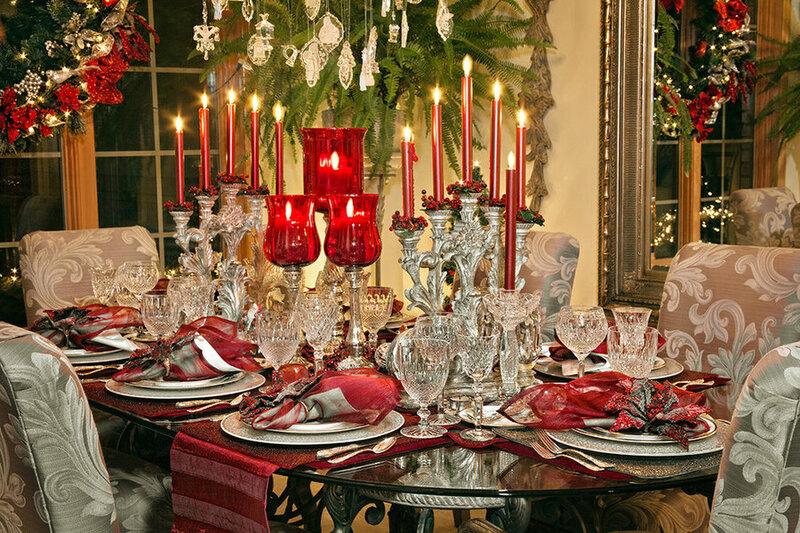 Fun Formal Dining Room decorated for Christmas in red and silver. 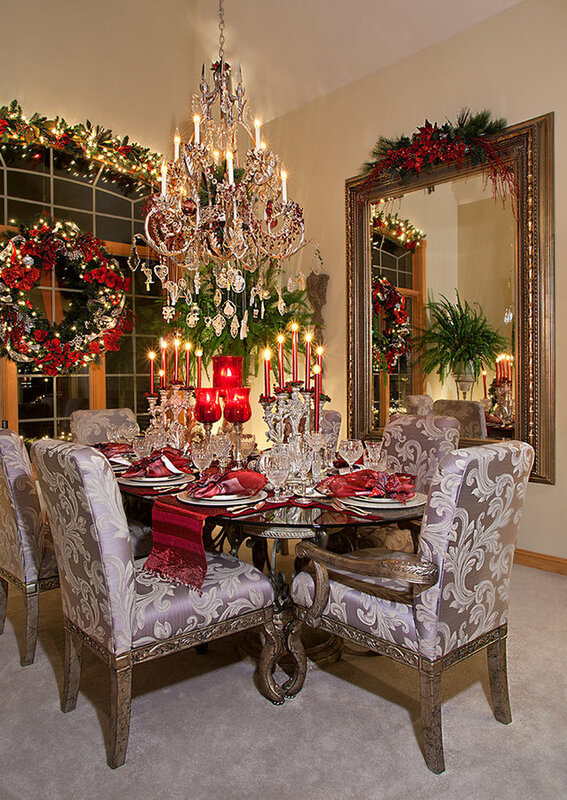 Large iron and crystal chandelier decorated with vintage crystal ornaments. Large floor mirror hung on the wall. Custom wreaths and garland. 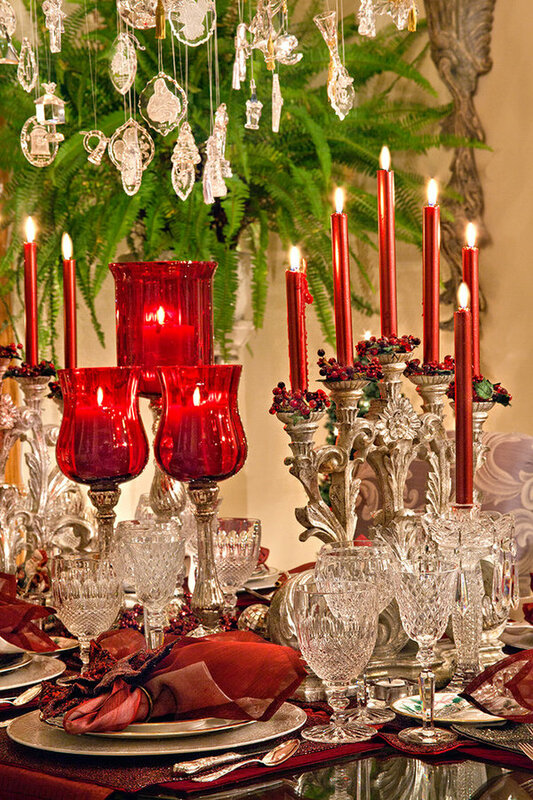 Sterling silver flatware, Waterford crystal glasses, Mikasa Christmas china. Silver pinecone tree in silver champagne cooler.